This is a very user friendly application designed to simplify your day to day business transactions management. 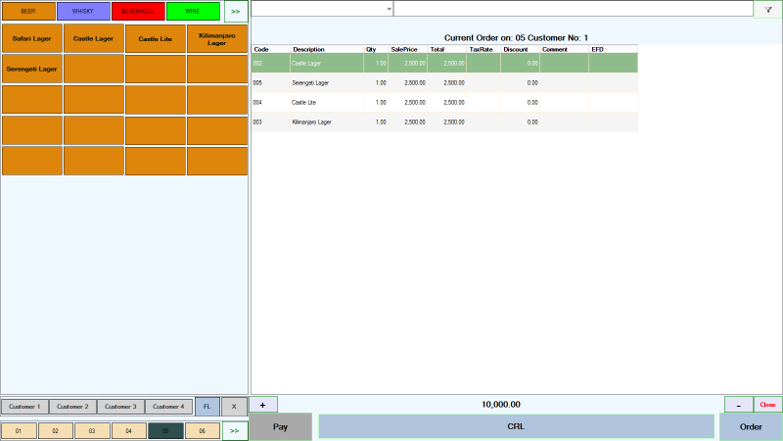 It has three key modules, namely; POS, Accounting and Inventory. It is designed for small and medium ventures with single or multiple branches, be it supermarket, pharmacy, hardware enterprise, club and the likes. It integrate with wide range of tools such as touch screens, bar-code readers, smart card reader, EFD machines, just to name a few, all with the goal helping you doing business much faster and with more accuracy. It is made so simple yet so robust that, basically anyone who can use a touch phone can also use this system.